Our office seeks to schedule appointments at your convenience and when time is available. 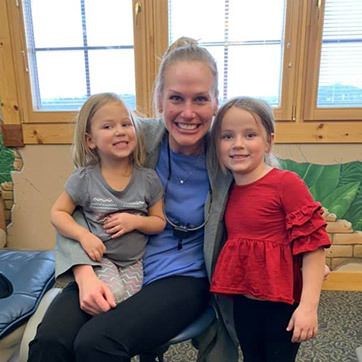 We have found that children with significant treatment needs and preschool children should be seen in the morning because they are fresher and generally tolerate dental care more gracefully. Some appointments may require that your child miss school; however, these are regarded as excused absences. Missed school can be kept to a minimum when regular dental care is continued. We require confirmation for all dental visits, and will contact you by phone or email 48 hours before your child’s scheduled appointment. This time has been reserved exclusively for your son or daughter, and we ask that you please notify our office 48 hours in advance of your scheduled appointment time if you are unable to keep your appointment. Another patient who needs the doctor’s time could be scheduled if we are properly notified. We realize that unexpected things can happen, but we ask for your assistance in this regard.